A good luck charm is a talisman, amulet or object that someone carries around with them which they believe brings them good luck. People use this object to bring them good fortune, to bring about positive change in their life and use it in specific times of need. A good luck charm can make a normal day extra special and some believe it can even ward off evil or bad energy. In fact, some of the earliest known uses of good luck charms as a way to protect against bad or evil energy can be traced back to around 1500 B.C.E. Good luck charms are common with superstitious athletes and performers who often use them before a show or game to ensure the event goes smoothly and they get the result they want. How do good luck charms work? Whilst a lot of people place emphasis on the object itself, a good luck charm’s power actually comes from our perception of it. Basically, rather than a good luck charm holding specific abilities, we give it all its power by how we behave when we have it. This manifests itself in a number of ways. When we believe a good luck charm will help us, our confidence and self-esteem gets a bit of a boost which alters our attitude towards a certain situation or day. This allows us to perceive our experiences in a much more positive way. This healthy, positive attitude puts out good intentions and energy into the universe which means we’re much more likely to receive the same. Once good things start to happen and we’re open to receiving these good events, more will follow and voilà – the good luck charm has done its job! So in effect, a good luck charm directs the power of our mind towards achieving our goals and leads us to live a more positive life. What can you use as a good luck charm? There is no right or wrong when it comes to good luck charms. They do not have to follow a set shape or form. In fact, the more personal the charm is to you, the better. Something that you hold dear or has some special significance to you will work wonders. This can be a family heirloom, jewellery or simply a found object. However, if you don’t have anything like that there are a range of universally accepted good luck charms that you can choose from. 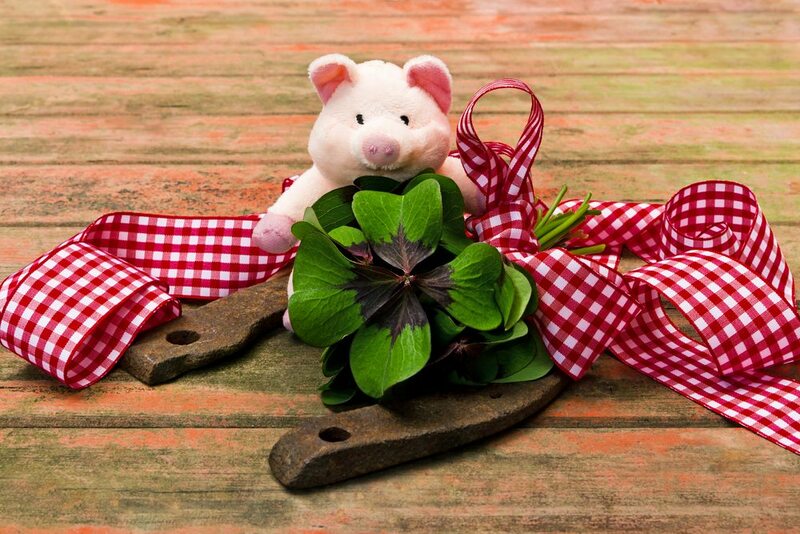 Plant charms – they’re pretty hard to find but a four leaf clover is said to bring good luck. If you can’t find one bamboo is also a great talisman. Animal charms – certain animals, such as dolphins, butterflies, ladybugs and tigers are said to hold natural good luck. Icon charms – objects such as horseshoes, dream catchers or coins are thought to have good luck attached to them. Nature charms – rainbows, acorns and cat’s eye gems make excellent good luck charms. We’ve also written about some of the more unusual good luck charms from around the world that you could use. The most important thing when choosing your good luck charm is really just going with your gut and intuition. Whichever one feels right will be right. Then you can carry it around with you to give you good fortune or use it during meditation and healing practices.